"I've experienced great success and a few embarrassing failures. . . . In essence, as much as I like to view myself as a good or even a very good leader, I'm more truthfully a blessed and broken leader, one who is daily in need of being . . . redeemed by the Spirit of God who resides in me." In these pages Steve offers the gifts of love found in 1 Corinthians 13 as the antidote to our brokenness. He writes with personal transparency from his own experience. Each chapter concludes with a powerful spiritual assessment tool to use in reflecting on our own leadership strengths and weaknesses. By embracing and befriending our own brokenness we can find true wholeness in God's strength. In these pages you will discover a new way to live in freedom and joy. "Thank you for writing this important piece for leaders." "I have known Steve Macchia for more than thirty years and I can assure you that Steve has consistently and passionately loved Jesus and the church all these years. I know of no one more qualified to gently guide the reader into a deeper understanding of the relationship between brokenness and the generous love of Jesus. . . . Theologically rich and practically informed, Broken and Whole will challenge you to abandon a shallow understanding of brokenness and instead discover the joy of wholeness, only discovered at the feet of Jesus. I highly recommend this book for anyone seeking a deeper, fuller, richer understanding of the love of Jesus in the midst of a broken world." "Steve Macchia's books are increasingly among the go-to resources for Christian leaders who are looking to deepen their spiritual vitality. We all need what Steve has to say. After more than twenty years of friendship with Steve, I can personally attest to his spiritual wisdom for leaders, needed today more than ever. His transparency, his wisdom forged in the valleys, his insights on brokenness and his biblical lessons will provoke you in the best sense of the word." "The greatest commandment for leaders isn't any different than the greatest commandment for anyone. Love God. Love people. Stephen has given us a vision of Christian leadership that is more patient than hurried, more Jesus-promoting than self-promoting and more generous than self-serving. His candor and humble self-revelation is inviting and grace-giving. I highly recommend Broken and Whole." "It takes audacity and humility to confess your own frailty and folly. It takes grace and wisdom to mine these things for enduring life lessons. Stephen brings all that to this book. He is a man who listens deeply to his own life and who flourishes because of, not in spite of, weakness and brokenness. And he writes so well, so honestly and so practically about these things that I feel a fresh rush of hope that my own weakness and brokenness is the path to wholeness." "In Broken and Whole, Steve Macchia honestly, openly and humbly invites us into his own stories of brokenness and into the wonder of the grace of God. Surely, as Paul teaches, God's power is manifested in our weakness. Steve understands this well and offers Paul's teaching in 1 Corinthians 13 as a roadmap for leaders seeking forgiveness, wholeness and strength in the vocations to which they've been called. This is a book that will help many. It has helped me." "In Broken and Whole Stephen Macchia reminds us that the most important kingdom contribution any of us can make with our one and only life is who we are becoming in Jesus—that everything flows out of that. Stephen brilliantly connects 'the most excellent way' described by Paul in 1 Corinthians 13 to life and leadership in an honest, transparent and practical way that will strengthen and guard your soul." "Wrought from the trenches of actual leadership stories and immersed in biblical teaching, Broken and Whole gently pries itself into the gritty places of the soul and invites God to meet us. . . . Steve Macchia?s consistent candor and authenticity coupled with gentle guidance—and his killer questions!—will take you there. Steve's final words express the best gift this book can offer—a path by which to live, love and lead in the name of God: Father, Son and Holy Spirit. Amen." "I've just finished reading my friend Steve Macchia's new book, Broken and Whole. It combines Steve's long experience with leaders and organizations, wise practices, Scripture, and very practical applications for every leader. Don't miss the chapter on rudeness, a neglected teaching in many contexts. 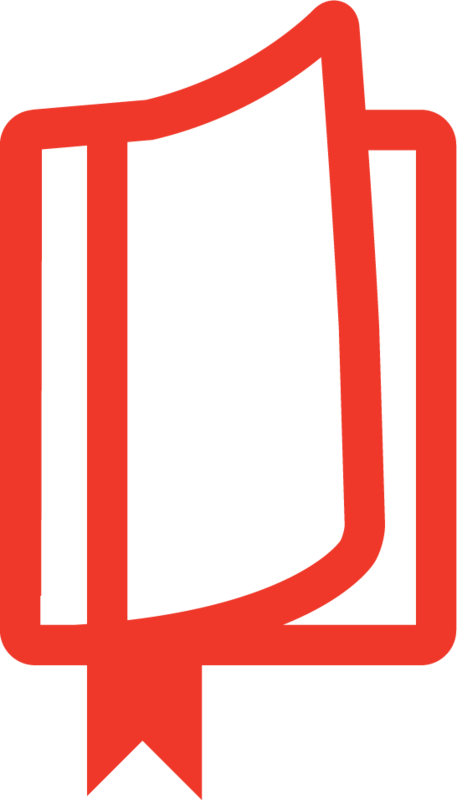 And pay attention to all the end of chapter application areas—this is where you will grow the most and redeem the investment in this new work." 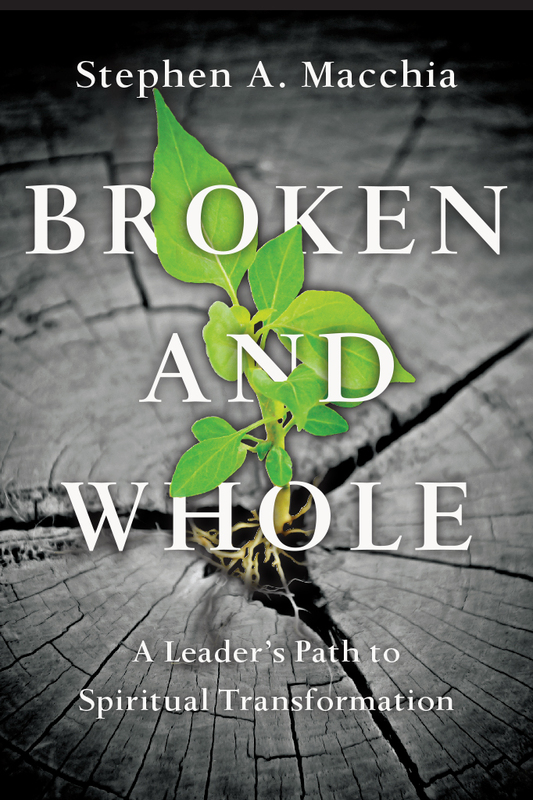 "Broken and Whole is not just another book about authentic Christian leadership. Through Steve's transparency of his brokenness we gain extraordinary insights into how patience and kindness may be restored in our lives. He challenges us to embrace our brokenness and unlock the keys for leading boldly in a day of great challenges. As I read Broken and Whole, over and over I heard the Holy Spirit speaking directly to me. I am confident the same will be true for you when you read this outstanding book." "I once heard a greatly respected spiritual formation writer muse, 'Wouldn't it be good if people would talk about their weaknesses as a way of introducing themselves.' And this is exactly the pattern of transparency Stephen Macchia follows as he talks about his own brokenness before describing his path to change. What a wonderful way to present the wholeness described in 1 Corinthians 13—the love that is God's, the love that can bubble up within the leader." "Being healed from the inside out by the love of God is a necessary and ongoing process for every believer living in our broken world, and even more critical for Christian leaders. Broken and Whole is a wonderful tool for leaders to utilize in this journey toward wholeness. Read it, reflect, and no doubt, God will use it to do a deep work in your life." "I love this book! It's honest, hopeful and biblically grounded. 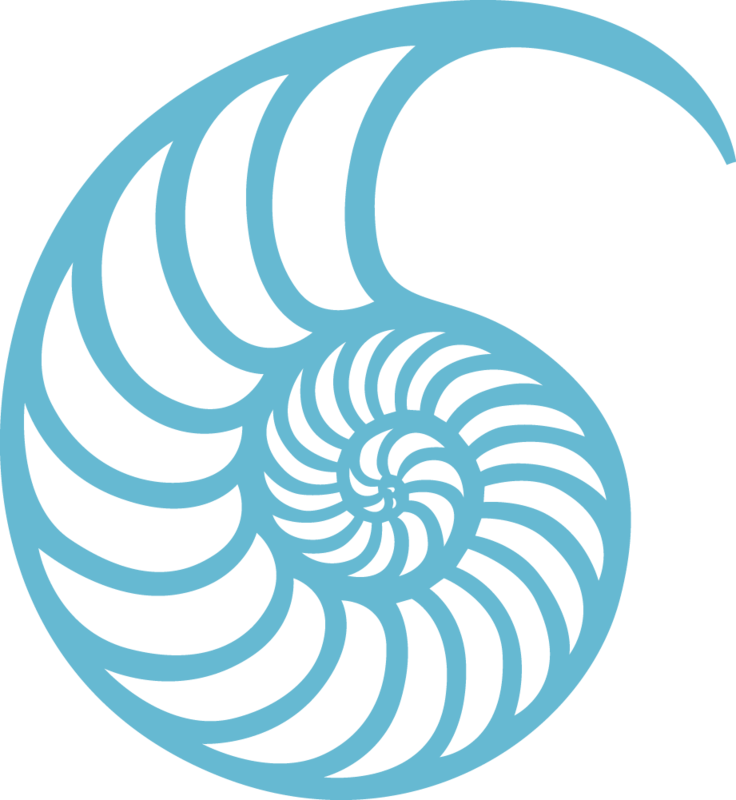 In Broken and Whole Steve Macchia invites us to explore a number of common habits and patterns that so often go unchecked and yet have grave consequences for our interactions with others. In these pages we find a helpful paradox: facing our brokenness clears space for God to bring something really special—authentic transformation." "Steve Macchia has been nosing around our churches and ministries—especially our board meetings. But the good news: instead of meddling, he ministers. When you read chapter four, 'The Tight Grip of Pride and Close-Fisted Greed,' you'll discover a new standard of leader and author transparency. Steve bares it all—and his authenticity ensured I would read every chapter: slowly, prayerfully, confessionally. Every Christian leader—every Christ-follower—will relate to the powerful stories that launch each chapter and the probing Spiritual Leadership Audit questions that conclude each chapter. Broken and Whole is a must-read." "Our world values people who break records and outperform others. This pressure to crash through human limits and exercise grandiose powers presents temptations to spin, compare, exaggerate and sell ourselves. Any help we can get in addressing pretense, dishonesty and addiction to self is welcome. Steve offers Jesus' own living path of love as a way forward. The path to awareness, freedom and God is meant for us all." "Steve Macchia is a gift to the church and has mentored and taught me much in the ways of Jesus. Broken and Whole is more than a healing balm; it makes you long for more of Jesus." "Leaders who are tired of excuses and the false idol of perfection and who are hungry to lead in an authentic way will lap up this book. Highly recommended." 3. Is It Ever Acceptable to Have a Competitive Spirit? 6. Is an Independent Spirit in Your Veins and Arteries? Listen to Nathan Foster as he talks with Steve Macchia about Broken and Whole in this podcast from Renovaré. 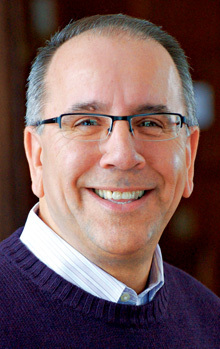 Stephen A. Macchia (DMin, Gordon-Conwell Theological Seminary) is founder and president of Leadership Transformations, Inc., a ministry which focuses on the spiritual formation needs of leaders and the spiritual discernment processes of leadership teams in local church and parachurch ministry settings nationwide. He is also the director of the Pierce Center for Disciple-Building at Gordon-Conwell Theological Seminary and previously served for fourteen years as president of Vision New England. 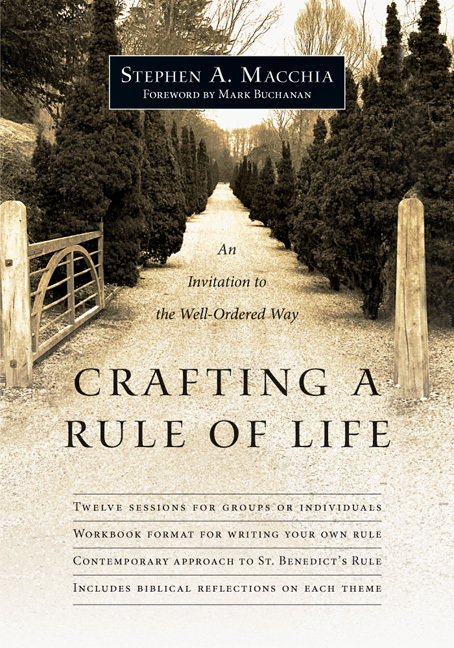 Macchia is the author of ten books, including Broken and Whole, Becoming a Healthy Church, and Crafting a Rule of Life. Learn more about his vision for Crafting a Rule of Life.